1. Apply tape or Vinyl Quickies on the nail where you would like it to remain polish-free. 2. Apply one coat of Red Carpet Manicure’s Ready Runway Strut and cure for 45 seconds in an LED light. Repeat for a second coat. 3. Remove the Vinyl Quickie. 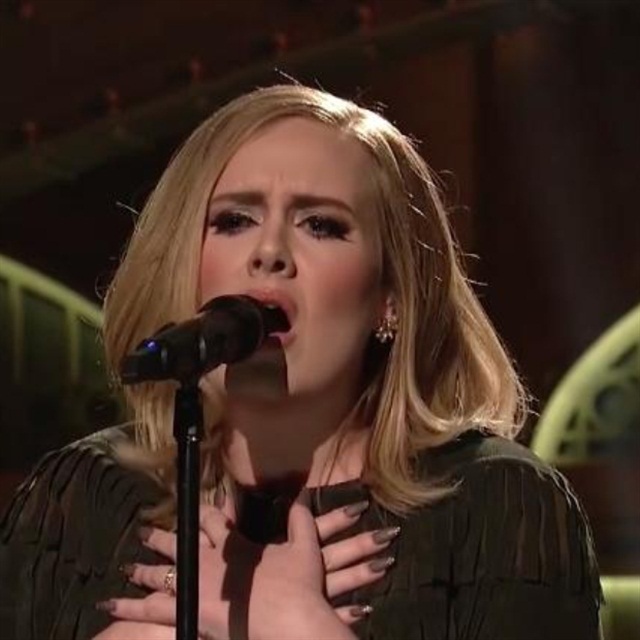 On Saturday, Adele was the musical guest on SNL. For that performance Kyees used Red Carpet Manicure Espresso Yourself Nail Lacquer and sealed it with a matte top coat. 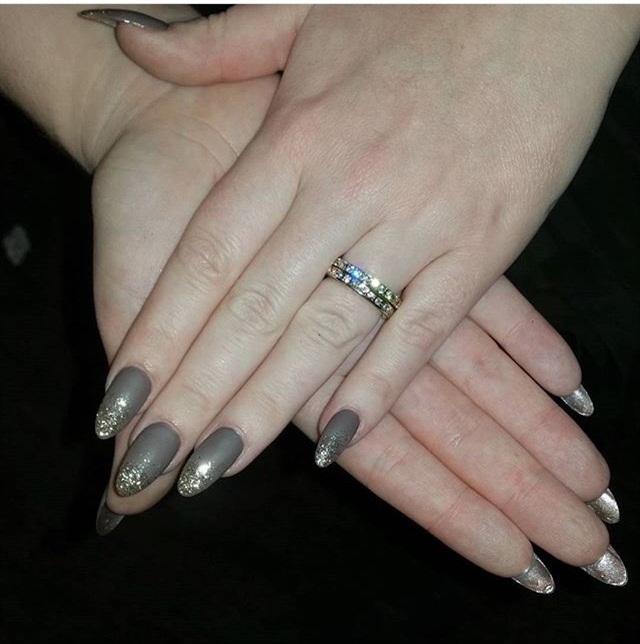 Loose gold glitter finished off the tips for a sparkly French twist. 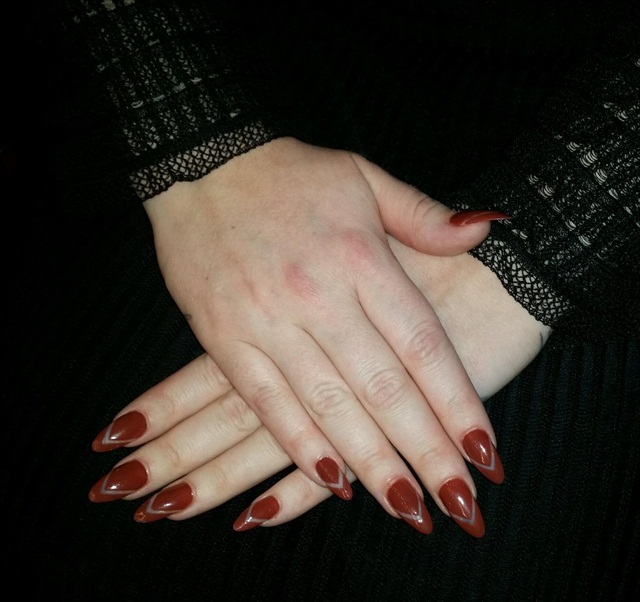 Adele sported her signature nail look by having Kyees paint the underside with Red Carpet Manicure Mink Coat Nail Lacquer.